On the global list of romantic cities, you’re probably thinking Liverpool ranks pretty low when compared to the likes of Rome, Paris and Venice. At Signatures Liverpool we’re here to challenge that perception and show you how to enjoy a little romance in Liverpool with 12 of the most romantic things you can get up to in the city. Liverpool is renowned for boasting the most stunning sunset scenes in the UK. When the radiant amber sun dips behind the Wirral peninsula, Liverpool’s superb World Heritage Waterfront is bathed in a hazy golden glow. 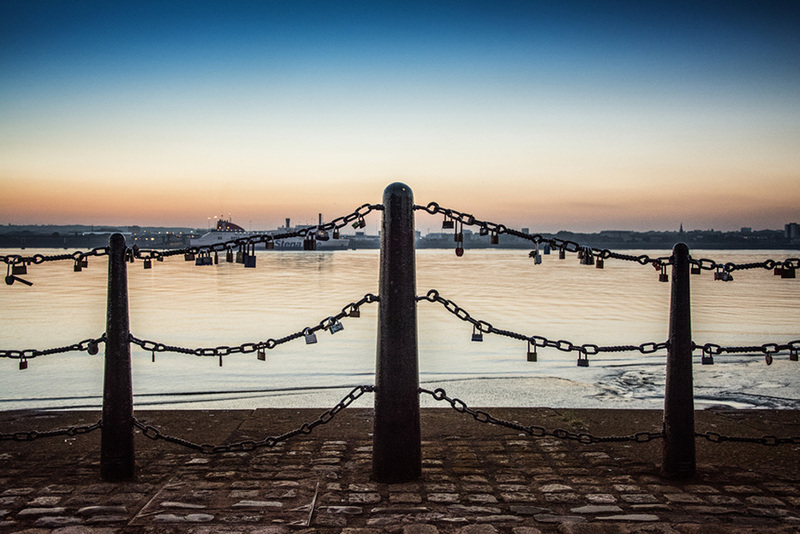 Choose to take in this spectacular sunset scene during a stroll down the banks of the River Mersey. Even visit one of the cities sky-scraping viewpoints such as The Wheel of Liverpool or Radio City Tower. No matter where you enjoy a Liverpool sunset from, make sure somebody special is close by. Perhaps not the first place that springs to mind when trying to conjure up thoughts of the UK’s most stunning parks. Liverpool is, however, home to a number of the most important Victorian parks in Britain. Sefton Park is perfect for taking in the stunning scenery as you meander along winding pathways. Saunter around the glistening lake, past the ornately decorated bandstand and make your way to the Palm House. The Palm House is particularly striking at night when the intricately framed glass dome is lit up from inside. Or perhaps take a quick jaunt across the River Mersey to Birkenhead park and see the inspiration for New York’s own Central Park. Enjoy walking hand in hand across the quaint Swiss Bridge, or admiring the beauty of the gleaming white stone Boathouse overlooking the lake. 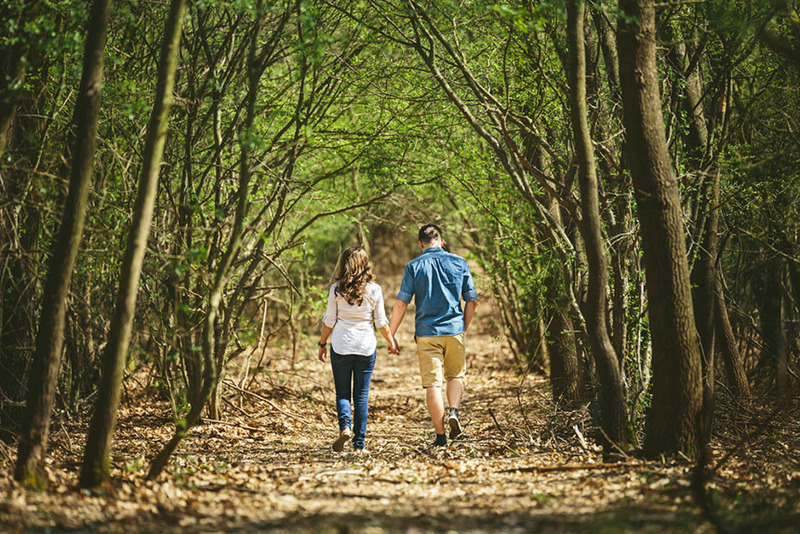 Liverpool’s parks are the perfect way to sample a little fresh air and some romantic outdoor scenery with your other half. Well known for our sense of humour, Liverpool is home to a number of comedy venues perfect for a rib-tickling evening out. One of the cities longest running comedy events can be found upon Albert Dock, a thoroughly romantic backdrop in itself. At Comedy Central, you and your loved one can enjoy a delicious evening meal before taking in a string of live comedic performances. Well established and start-up comedians take to the stage and do their best to make you giggle. It’s true that the key to a great relationship is laughter, at Comedy Central they have it in barrels. Some of the most amazing artistic masterpieces are inspired by love. 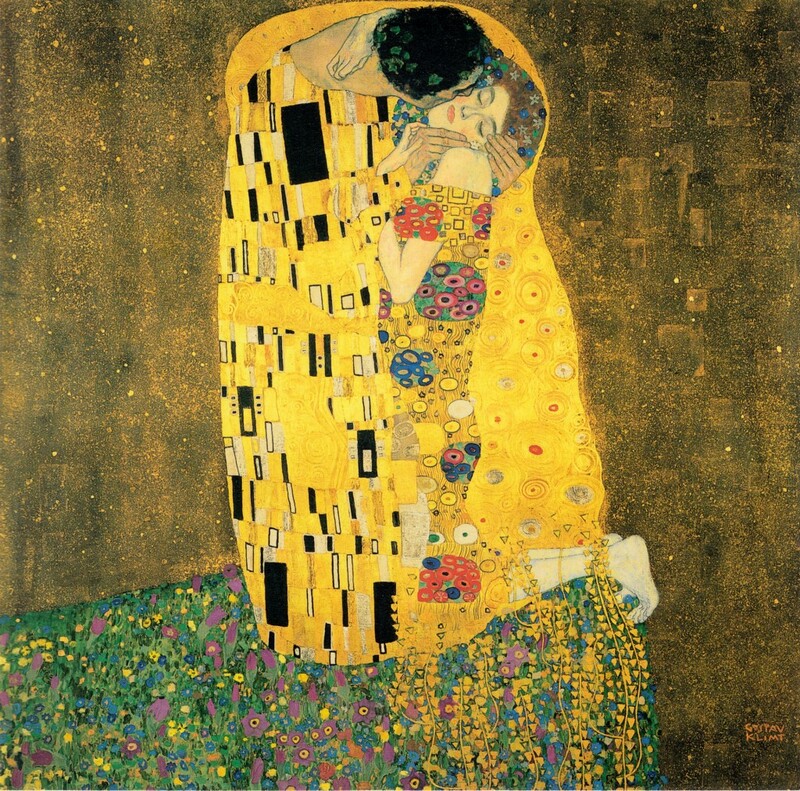 Rembrandt, Klimt, Picasso were all amazingly talented artists who created incredible works of art inspired by love. Visit one of Liverpool’s well-established art galleries to view vast collections of ancient and modern artwork. The Tate has a huge collection of varied pieces from contemporary and classic artists. Pieces on display include Pre-Raphaelite beauties hanging alongside curious sculptures and modern art installations that embody the concept of love in each artist’s way. Other galleries include the Walker Art Gallery with an expansive collection of love-inspired masterpieces. Or even the View Two Gallery which is home to collections from emerging artists portraying their own interpretations of modern love. There is has no end to the collection of romantic masterpieces for couples to feast their eyes upon in Liverpool. 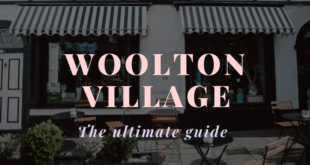 For those couples in love who believe the best way to their partner’s heart is through the stomach, head to Liverpool and choose from a huge selection of amazing restaurants. 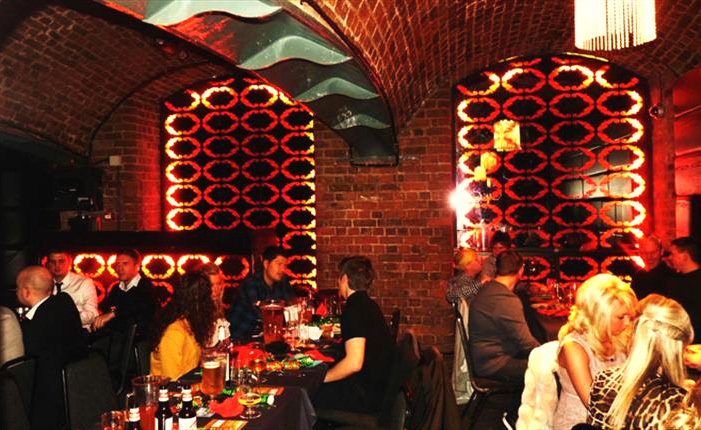 No matter where your tastes run, Liverpool has a dining experience to suit any palette. 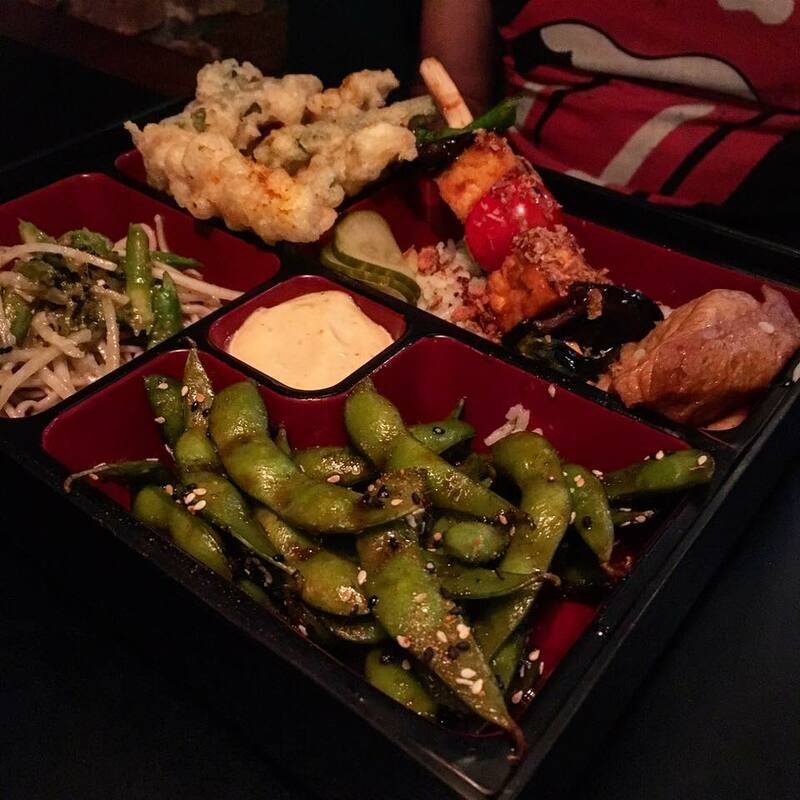 For a choice of dishes from around the world make your way to Bold Street. Here you and your other half can choose from the exotic flavours of Japan, Lebanon and the Caribbean or classic favourites like Mexican, Italian and Thai. All this choice on one street and every venue providing delightful dishes accompanied with an atmosphere to match. For those of you that love your food as much as each other, there isn’t anywhere a couple of foodies should rather be than Bold Street, Liverpool. 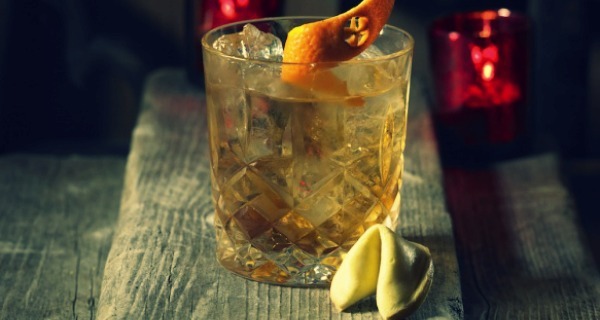 Liverpool has a host of fabulous cocktail bars serving delicious concoctions to tantalise your taste buds. But it’s no good if your bank balance is thwarted after the second round. To help make the most of your romantic night in Liverpool, we selected our favourite venues that offer a selection of tasty 2-4-1 cocktails. Saving you the trouble of looking as well as some pennies in the process. The Red Door has a wonderful 2-4-1 cocktail menu Sunday to Thursday until 10 pm. Combine this with their classic soundtracks and dimly lit outdoor terrace and you’d be hard pushed not to enjoy a little romance in Liverpool at The Red Door. Even though this next bar is in the heart of Concert Square, there something wonderfully romantic about enjoying your 2-4-1 drinks Al Fresco at MODO. Snuggle together under the space heater in the square and enjoy the buzzing atmosphere and a bit of people watching too. An oldie but a goodie the classic date night at the movies. Catch a chick flick or the latest action extravaganza as you share a bucket of never-ending popcorn and slurp fizzy drinks through the same straw. Liverpool One’s ODEON is located in the centre of the cities largest leisure complex surrounded by some of the best dining franchises and top class bars. As part of a special viewing experience, visitors to Liverpool One ODEON can opt for a truly magical movie experience. The VIP ODEON package includes unlimited nachos, popcorn and soft drinks and you can both enjoy the movie from the comfort of huge plush seats with added leg room. Not just your average date night when you upgrade to a VIP cinema experience at Liverpool One ODEON. Something that started on the Bridge of Love in a small Serbian town spread across Europe in early 2000’s. Couples began affixing padlocks to bridges, promenades, railings and even trees, locking their relationship to a fixed point in time and space. A romantic notion that has since made it’s way to Liverpool’s Albert Dock and all along the waterfront. 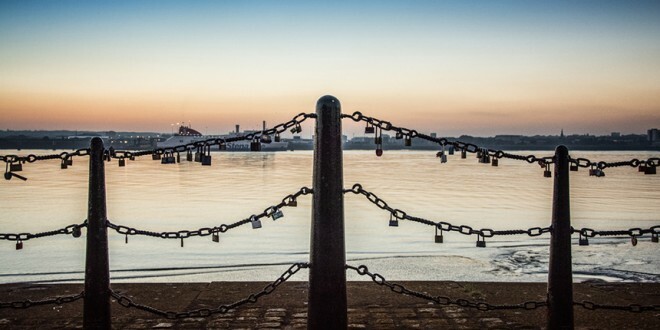 Why not add your “love lock” to the monument and solidify your relationship in Liverpool? 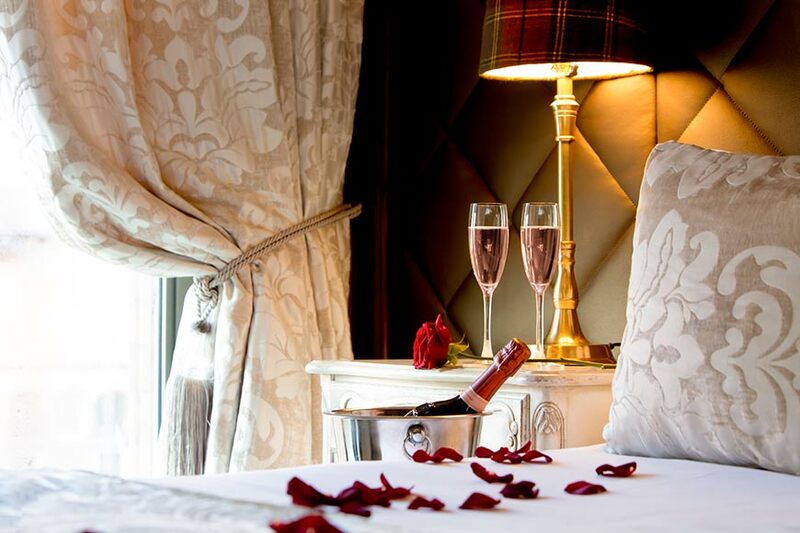 Step out of your everyday routine and into the lap of luxury for a romantic break in an award-winning Liverpool hotel. The Shankly Hotel has a fabulous date night offer that includes an overnight stay in one of their luxurious double suites. Guests will also have the chance to dine on a delicious two-course dinner in the Bastion Bar and Restaurant followed by a scrumptious breakfast in the morning. All this and the staff at The Shankly will even decorate your room with rose petals and a chilled bottle of Prosecco waiting for you on arrival. Simply check in and relax or enjoy some of the aforementioned activities before heading back to your luxury Liverpool hotel room for the night. 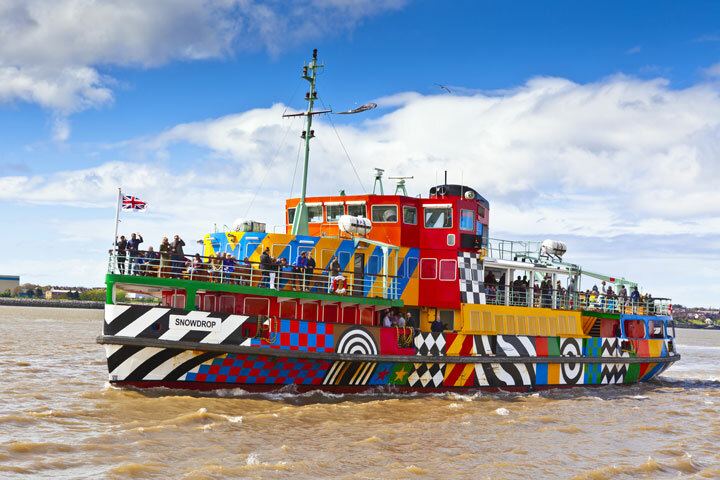 The Mersey Ferry is one of Liverpool’s oldest and most iconic institutions, graced by the likes of the Queen and pop royalty The Beatles in the past. There’s something about bobbing along on the gently lapping waves that scream romance, as well as the fact that it could be a tad chilly so you’ll have to huddle together. 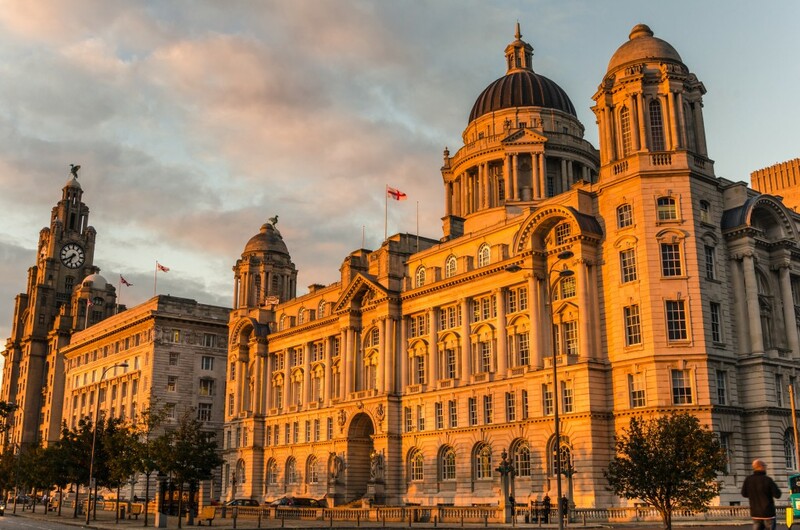 Sail past the majestic Liver Building, enjoy the ride as you pass Seacombe and Hamilton Square ports. Perhaps even hop off and take a stroll on the Wirral side of the waterfront. The Mersey Ferry is a wonderfully leisurely way to enjoy the day together becoming part of Liverpool history at the same time. With six major theatres to choose from in Liverpool, visitors are spoiled for choice when it comes to watching the latest film adaption, musical or classical play. This year visitors can enjoy some epic love stories such as Bodyguard, Dirty Dancing, Evita and Ghost. All of which have been adapted to the stage in Liverpool’s Empire theatre. If musicals and Shakespeare are more to your taste the head to the Epstein. A theatre that has provided the cities entertainment for over 100 years a classic showcase for traditional pantomime, musicals and Shakespearian performances. So whether it’s a love story or a musical, a night at the theatre is among the most traditional date nights of all time. Is there anything more indulgent than a trip to the spa? Stepping into the sweet smelling aroma of essential oils and a tranquil atmosphere, you’re relaxed before your treatments even begin. Imagine sharing this with the one you love. 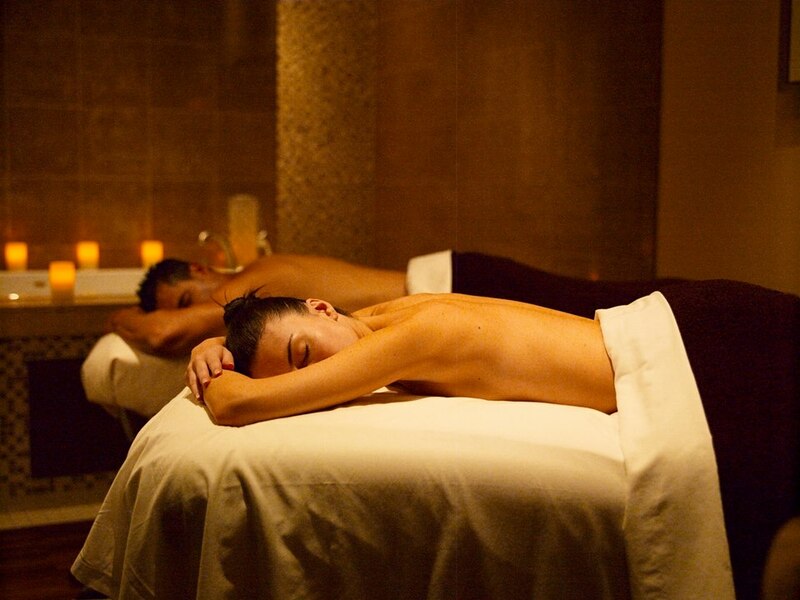 Both of you can indulge in a fabulous couples spa experience with 30 James Street’s Morgan’s Spa. Located in the subterranean levels of the hotel, Morgan’s spa has a serene calming atmosphere coupled and a team of extremely talented spa therapists. You can even choose to add an Afternoon Tea service before or after your treatments, just to spoil yourselves that little bit more. A special treat to each other and a great place to find romance in Liverpool. There you have it, 12 great reasons why Liverpool should be considered among the most romantic cities in Europe. For even more ideas on how to make the most of your time in Liverpool during January click here.